BALTIMORE (AP) — Will and Gwenelle Parks, who own the gourmet condiment company Saucier Willy in Baltimore County, specialize in concocting homemade sauces, syrups and seasonings using locally sourced produce. But recently, they’ve found success with a new ingredient: cannabis. 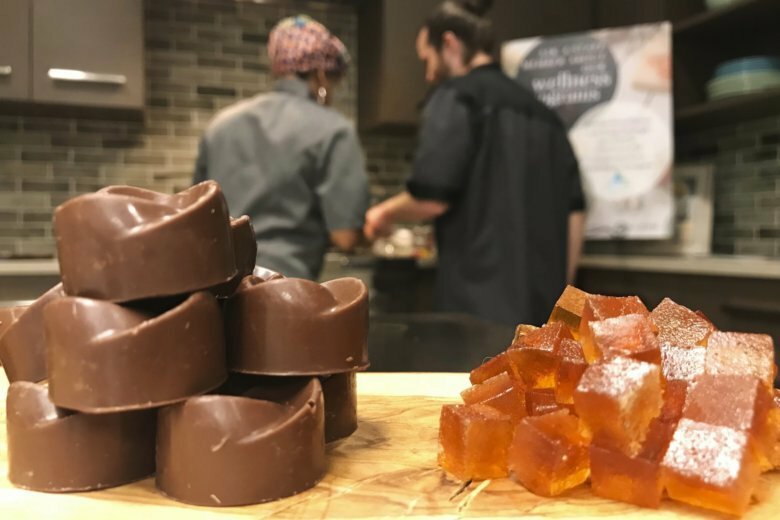 It requires a bit of math, but Will Parks explains to attendees how to evenly infuse the drug into a host of foods such as chocolate fudge brownies, “Canna Gummies,” smoothies, and even savory meats, breads and salad dressings. The recipes generally require substituting cannabis-infused butter or oil for regular butters and oils. But with classes often open to the public and directions posted online for all to see, Will Parks and other instructors have drawn criticism from marijuana advocacy groups who say these sessions encourage non-licensed use of the drug.